Smart-shopping blogs and magazines are teeming with stories about the great deals you can get on nearly everything – groceries, tires, vacations – at warehouse stores. Some financial writers even claim there’s simply no excuse for not belonging to a warehouse club if you live within driving distance to one. But there’s one obvious snag: Before you can fill up your cart with these bargains, you have to pay an annual fee of around $50 just to get in the door. Of course, this membership fee can pay for itself if the prices in the store are low enough – and if you buy enough for your annual savings to add up to $50 or more. But how can you tell whether the math works out in your favor? To answer that question, you need to delve into the murky depths of warehouse store shopping: how it works, what it costs, and just how good the prices are on the items you buy most. Warehouse stores work on a different model from other retail stores. Regular retailers, such as Walmart, make their money from the markup they charge – the difference between the wholesale price they pay for goods from their suppliers and the retail price they charge to customers. Kiplinger reports that the markup at a typical retail store is somewhere between 25% and 50%. By contrast, warehouse stores charge a much lower markup – about 14% – and make up for the lost profits by charging a fixed yearly fee to each customer. That’s why these stores sometimes refer to themselves as buying clubs: You pay up front to become a member, and in return, you get to buy products at rock-bottom prices. In addition, you gain access to various other special deals on everything from healthcare to travel. Costco. 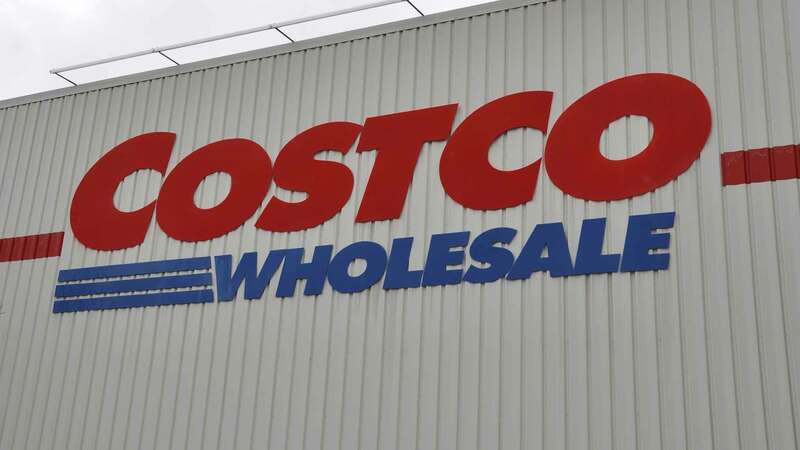 The Costco chain started in Seattle in 1983. 10 years later, it merged with another club store, called Price Club, which had been catering to business owners since 1976. Today, Costco has hundreds of stores stretching across the entire United States and beyond. The chain sets itself apart from other warehouse stores with its focus on high-end goods, such as organic food and designer jeans. Sam’s Club. Sam Walton, the founder of Walmart, started Sam’s Club in 1983. It’s now a nationwide chain with more than 600 stores and 47 million members. Its products range from groceries and office supplies, to big-ticket items such as jewelry and furniture. BJ’s Wholesale Club. BJ’s is a smaller chain than its competitors, with 200-plus stores spread across 15 states. However, like Sam’s Club and Costco, it offers a wide range of goods and services, from groceries to vacation packages. People who love warehouse stores really love them. Forbes reports that Costco members are extremely loyal, with more than 9 out of 10 choosing to renew their membership each year. In a 2011 study by ShopSmart, reported on by Consumer Reports, both Costco and Sam’s Club beat supermarket prices on most groceries by at least 20%. A few items offer even bigger savings – batteries, Cheerios, and Thomas’s English muffins were priced less than half of what they cost at supermarkets. Kiplinger says warehouse stores offer the best prices on tires, noting that one high-performance brand sells for around 20% less at Costco than it does at Sears. 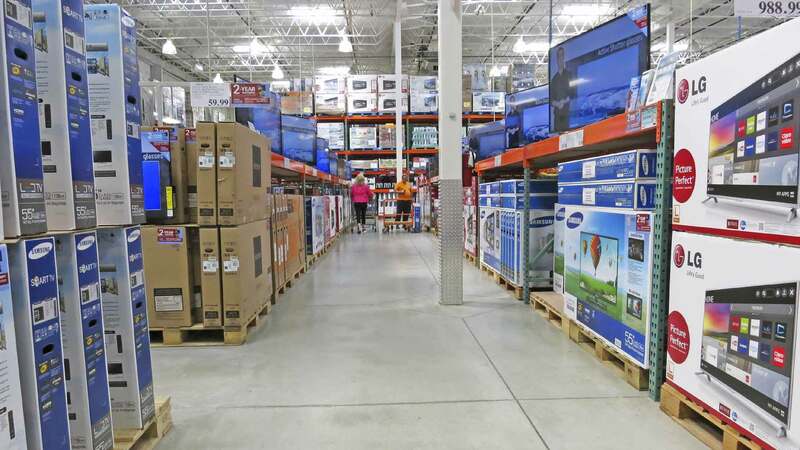 Kiplinger also cites great deals at warehouse clubs on TV sets, beer, designer watches, and even coffins – though that’s one savings you probably hope you don’t need to cash in on. Costco members can get special deals on insurance, auto rentals, and travel packages. The store also offers banking services, eye care, and water delivery for homes and businesses. Costco has even teamed up with auto dealerships to give its customers discounts on many car makes and models. Sam’s Club has an even wider menu of services, including health screenings, home improvement, and legal services for businesses. On top of that, both stores offer discounts on movie tickets. 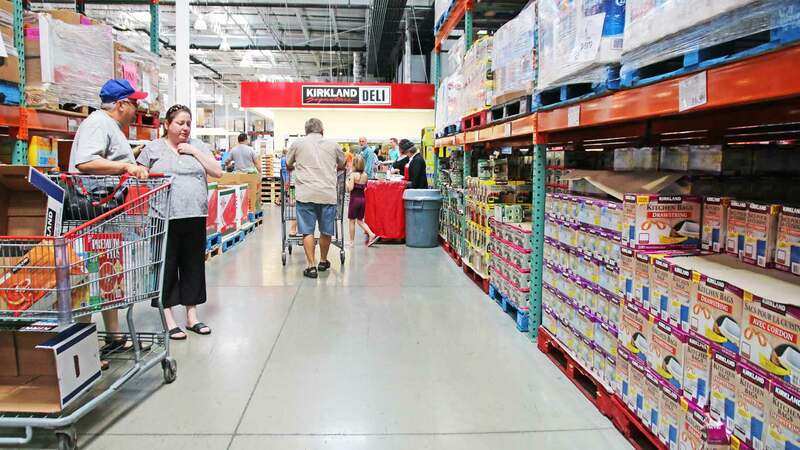 A March 2015 article in Consumer Reports says that many products from Costco’s house brand, Kirkland, are as good as or better than their name-brand competitors. The magazine’s editors recommend Kirkland’s laundry detergent, batteries, bacon, mayonnaise, and organic chicken stock. The magazine also gives high marks to Member’s Mark laundry detergent, a Sam’s Club brand, in a 2014 test. Warehouse stores allow you to condense many errands into one. You can pick up your glasses, get new tires, book a vacation, and buy groceries all in one trip. On weekends, shoppers at warehouse stores can stroll through the aisles noshing on samples of assorted food items. Naturally, the stores hope that trying the products will inspire you to buy them, but there’s no obligation – you can just chow down and walk away. In a 2012 survey by Consumer Reports, Costco shoppers reported being more satisfied with their experience than shoppers at nine other major retail chains. A 2014 survey about customer service by Temkin found similar results. 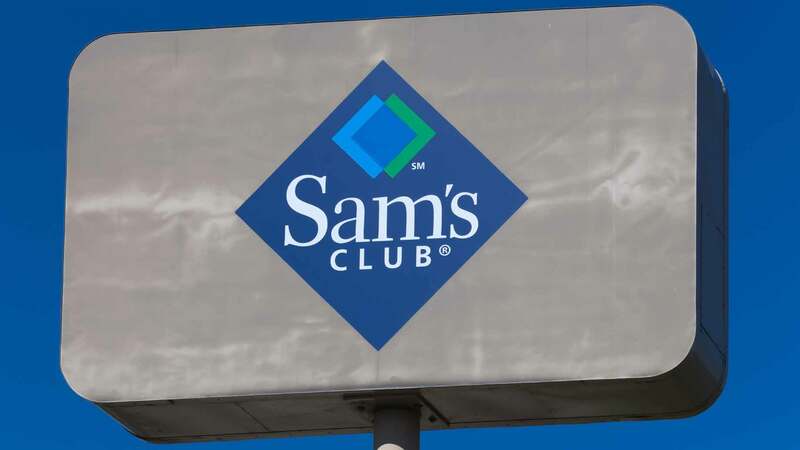 Sam’s Club was among the top 10 companies rated, with 81% of customers saying their service was either good or excellent. Costco and BJ’s come in a bit lower down the rankings with a respectable 79%. One likely reason why warehouse store shoppers are so satisfied is that if they’re ever unhappy with a purchase, it’s easy to return. 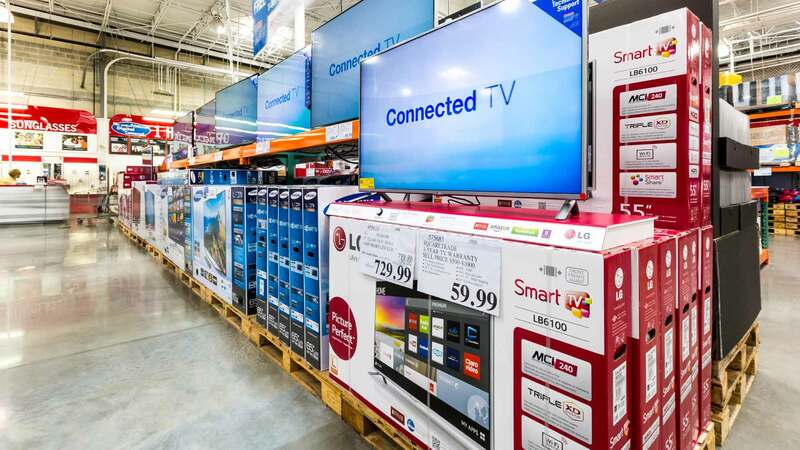 Both Costco and Sam’s Club offer an absolute 100% money-back guarantee on virtually everything they sell: If you’re not satisfied for any reason, you can return the item, with your receipt, at any time. One exception is electronic items, which can’t be returned after 90 days. For fresh food items, Sam’s Club’s guarantee is even stronger: you can return the item for double your money back, or get your money back plus a replacement. The standard annual fee for a household or a business is $45 a year at Sam’s Club, $50 a year at BJ’s, and $55 a year at Costco. In addition, all three of the major warehouse chains give you the option of paying more up front for your membership in exchange for rebates or discounts on the goods you buy. These top-tier memberships – Executive Membership at Costco, Sam’s Plus at Sam’s Club, and Perks Rewards at BJ’s – cost roughly twice as much as a regular membership and give you 2% back on nearly everything in the store. That means you have to spend between $2,500 and $2,750 per year before the higher-level membership will pay for itself. Warehouse stores are known for their jumbo-size packages. Buying in bulk to save money makes perfect sense with some products, such as mouthwash or soap. But it can be a problem with products that don’t keep well. Unless you’re sure you can (and actually want to) eat five pounds of cheese before it goes bad, the extra food is just a waste of money. Warehouse stores are huge and crammed with an incredible variety of goods. Even if all you want to buy is cereal, milk, and toothbrushes, you’ll probably have to walk past TV sets, clothes, and toys to get to those three staples. This makes it very easy to fall victim to temptation and walk out with a whole cart full of impulse buys that weren’t on your list. Neither Costco nor Sam’s Club accepts manufacturer’s coupons. BJ’s takes them, but only in paper form – the stores aren’t set up to take mobile coupons. With such a vast assortment of goods gathered together in one store, warehouse stores may seem ideal for one-stop shopping. However, while these stores offer great bargains on some items, their prices on others are disappointing. Kiplinger says that warehouse stores aren’t your best choice for appliances, as their selection is limited and they don’t offer the frequent sales you’ll find at other stores. Granted, a refrigerator isn’t something you shop for every week, but warehouse stores don’t always have the best deals on groceries either. For instance, ShopSmart notes that you can get better prices on Coca-Cola and Tide detergent by looking for a sale – or better yet, stacking a sale with a coupon – at your local supermarket. With so many pros and cons, how do you know whether a warehouse store is worth it for you? The best way to answer this question is to get inside the warehouse store and scout up and down the aisles. Check prices on the items you buy regularly, jot the prices down on paper (or make a note of them on your phone), then compare to the prices at your local supermarket. There’s just one problem with this plan: Most warehouse stores won’t let you in the door, even to check prices, unless you have a member card. One way to get around this problem is to ask a friend who’s a member to let you tag along on their next trip. Another way is to check the store’s website for a free one-day shopping pass. I found day passes for both BJ’s and Sam’s Club online. Costco doesn’t offer day passes, but it will let you into the store if you have a gift card. However, only Costco members can buy these cards. To get around that rule, you can either ask a friend to buy one for you or buy one secondhand through a gift card exchange site. Several years ago, my husband and I took advantage of a free day pass to check out the prices at our local BJ’s Warehouse. We were surprised to see that for most items, BJ’s prices weren’t noticeably better than the deals we were used to getting at other stores. For instance, the electronics section offered $18 DVDs and $700 laptops – not much cheaper than the prices at Best Buy, and not nearly as good as the deals we’d seen online. In the office supply section, a case of a dozen roller-ball pens was priced at $13.99, barely better than what they cost at Staples. In fact, some of BJ’s “bargains” didn’t hold a candle to other stores’ regular prices. For example, a 24-roll case of Cottonelle toilet paper sold for $12.79. At the time, we were paying only $3.49 per dozen for the store brand at Trader Joe’s. Thanks to these few items, we found when we totaled up our savings that this one trip had saved us more than $18. At that rate, we’d only have to make three similar trips each year for the membership to pay for itself. Unfortunately, we quickly discovered there was a flaw in our math. Over $6 of our savings came from just one item, the cinnamon – and at the rate we use it, the amount we’d just bought was something like a five-year supply. The pound of pine nuts would also last us about a year, so that was another savings we wouldn’t be able to repeat. Without those two items, our savings on future trips would only be around $8.50 – so we’d need to make at least five trips a year just to pay for the membership. However, since BJ’s couldn’t actually beat the supermarket on most of the items we bought regularly, it was unlikely we’d want to make more than five trips a year, so the best we could do was break even. Regretfully, we concluded that for us, BJ’s wasn’t a good deal. Although membership didn’t prove to be a good value for us, that doesn’t mean it isn’t for you. It depends largely on what you buy and how much you’re paying now. You Buy in Bulk. We passed up a lot of deals at BJ’s, such as those 30-pound sacks of rice, because it was more than we could reasonably use. However, if you have a large family or a small business, you probably go through supplies faster, making those jumbo-sized packages a better deal for you. You’re Committed to Certain Brands. Since we were used to buying store brands, we weren’t all that tempted by the name-brand items at BJ’s, even though they cost quite a bit less than the same brands at our local stores. However, if your family insists on Heinz ketchup or Downy fabric softener, there’s a good chance that a warehouse store can offer you a better price on it than your regular supermarket. Just make sure that the warehouse store actually stocks the brands you want before you commit to a membership – if you’ve already shelled out your $50 only to find that the store doesn’t carry Heinz ketchup, you’re out of luck. You’re Used to Getting Gouged. We found that BJ’s prices on most items couldn’t beat the sale prices at our area supermarkets. However, in areas where there are no big supermarkets – only pricey local grocery stores that don’t have great sales – the regular prices at warehouse stores look a lot more appealing. The Warehouse Store Is Conveniently Located. If the nearest warehouse store is 50 miles away, it isn’t practical to shop there more than once or twice a year – hardly enough to get your money’s worth out of your membership. The cost of gas will also eat into your savings. However, if the distance is less than 10 miles, regular trips become practical – especially since you can run many errands at once. Don’t Give In to Temptation. 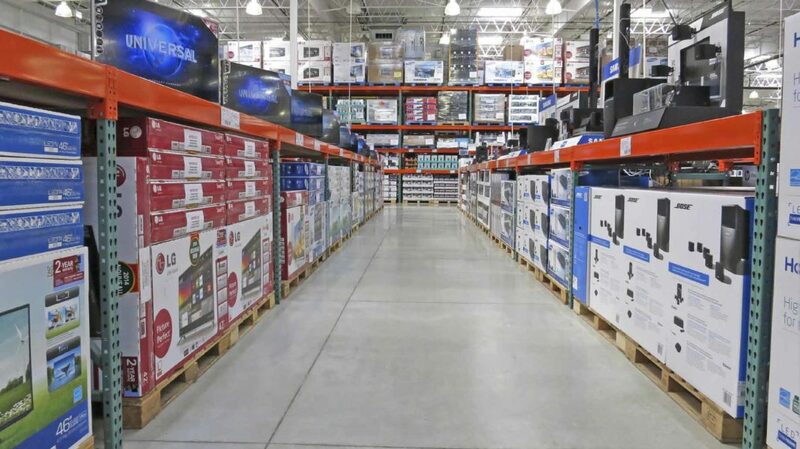 Impulse buys are one of of the biggest hazards of the warehouse store, since Costco and Sam’s Club have a much wider array of shiny toys to tempt you than a typical supermarket. However, you can avoid them the same way you would in any other store: make a list and stick to it. If you see something that looks absolutely irresistible, try jotting down the item and the price and walking away. Promise yourself that if you still want it just as much tomorrow as you do today, you can come back to the store and get it. By the time you’ve had 24 hours to cool off, there’s a good chance the new toy will have lost a lot of its appeal. Check Unit Prices. Warehouse stores don’t always beat the supermarket on price. The best way to be sure you’re getting a good deal is to compare unit prices: the cost per ounce, quart, or whatever unit the product is measured in. Some stores have the unit prices of different products marked on the shelf, but if your warehouse store doesn’t, you can just whip out your phone and calculate it by dividing the total price by its size. Then compare this number to the price you’re used to paying at your regular store. It helps to make a list of the unit prices you typically pay for items you buy often. That way you can just look at the list to compare prices, instead of trying to remember one number while staring at another. Don’t Overbuy. When you compare unit prices, the biggest container often looks like the best deal. However, a five-gallon tub of mayonnaise isn’t a bargain if there’s no way your family can use it before it goes bad. If you’re buying something with an unlimited shelf life, such as shampoo, then buying by the case is no problem. But when you’re shopping in the food department, try to be realistic and go for a size you can handle – even if the unit price is a bit higher. Focus on the Best Deals. If you take advantage of the warehouse’s store’s variety to do all your shopping in one trip, you’re almost sure to be overpaying for something. To get the most bang for your buck, concentrate on the items that are great deals at your particular store. And if you’re looking for a big-ticket item, such as jewelry or electronics, take the time to shop around – don’t just assume the warehouse store’s prices are the best. If one visit isn’t enough to figure out whether a warehouse store membership is a good deal for you, you can try signing up on a trial basis. BJ’s offers a free 60-day membership through its site to give shoppers a chance to get to know the store. Costco and Sam’s Club don’t have this option, but both stores promise a full refund of your membership fees at any time if you’re not satisfied. So you can give either store a try for a month or two, then cancel if you decide it’s not for you. Do you belong to a warehouse store? Do you think these stores are a good value?